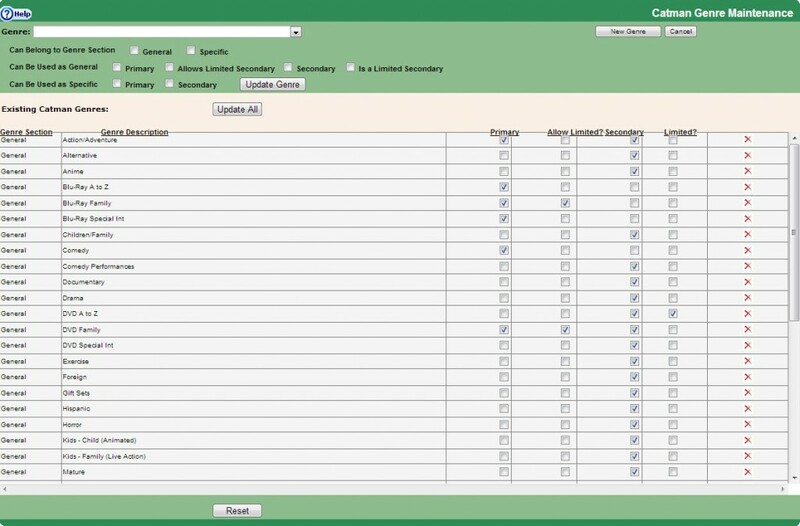 VMI / Category Management - Ingram Entertainment Inc.
Ingram Entertainment’s full Category Management system (known as “CatMan” for short) is designed to assist you with managing high-margin, catalog sell-through programs. CatMan features an automatic replenishment system, based on your POS, and offers up-to-date product selections from all studios, custom plan-o-grams, strategic product change-outs, merchandising services and customized reporting. Our three-prong approach focuses on New Release, Catalog, and Value priced product custom tailored for each location's needs! •VMI/CATMAN is a distributor/supplier process of managing the total entertainment product category for a retailer, maximizing profit and sales growth, while streamlining the mechanics of the overall process. -Department layout. Title selection. Replenishment models. •VMI/CATMAN is composed of a dedicated team manned by experienced entertainment industry professionals. -15 average years of retail, product and studio experience. -Full time support staff located in Tennessee and Iowa. •Proprietary IT system, with in-house programmers, built to the specifications of IEI and our customers. •Full reporting capabilities, item/store/industry/comps. All reporting in excel for ease of use. •Studio partnering / demographic analysis / new release modeling. •Results tracked based on retailer specific benchmarks. •CATMAN uses an expanded min/max system. On-hands are maintained between a min/max controlled by sales velocity and budget constraints. •We replenish based on customer item specific POS (point of sale) information. •We change titles out regularly based on POS. All fixtures are analyzed to ensure the best possible title presentation. •We can hire third party merchandisers for the crucial “last 100 feet”. •New title selection process involves information from industry best seller data, IEI best seller data, studio recommendations, and studio promotions. VMI constantly keeps a fresh physical media destination in your store.